Located in a renovated townhouse in historic central Antwerp, Graanmarkt 13 is a multi-floor concept store, restaurant, and hotel/event space. It is considered a mecca for timeless quality in cutting edge contemporary design, fashion, and gastronomy. 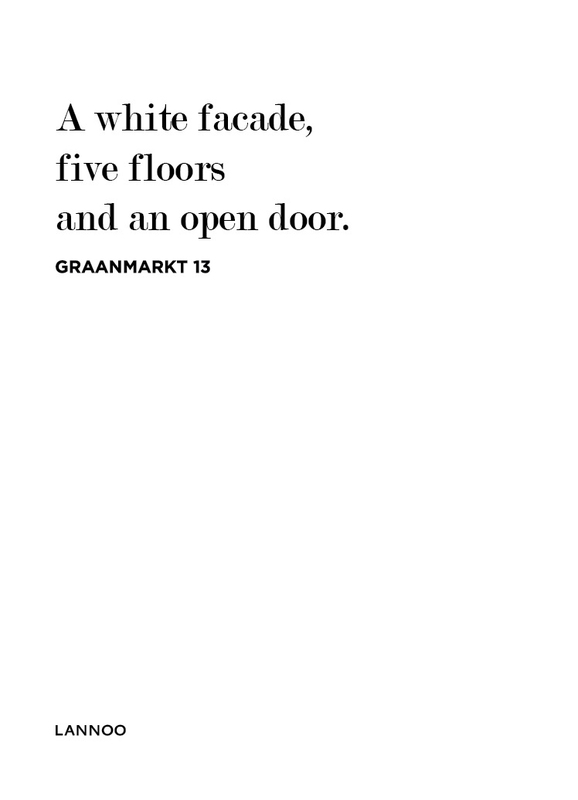 Each floor of Graanmarkt 13 expresses the visual minimalism and carefully curated sensibility of its founders, Ilse Cornelissens and Tim Van Geloven. This beautifully illustrated book, created in collaboration with Rosa Park and Rich Stapleton, editors of the cult lifestyle magazine Cereal, is a celebration of the vision that Graanmarkt 13 embodies. The authors, whose understated aesthetics make them ideal partners in telling each floor's story, explore the evolution of this very personal project, including the renovation by renowned Belgian architect Vincent Van Duysen, and the choices that support the founders' underlying dedication to craftsmanship and sustainability.